Did the Peoples Climate March matter? At the time did the various protests for racial equality, women’s suffrage, labor rights, anti-war, bring about change? Yes — and not completely, immediately or globally. Although all of these causes, while intolerably endured, even to this day – the marchers recognized a common cause, to take immediate action for a habitable earth. To say, you had to be there, is more than a saying when the stakes are the demise of the only climate that nurtured Homo sapiens and we have ever known. You can’t just be a bystander. 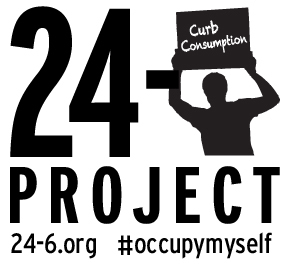 How could it be that we demand political action, corporate leadership, human rights, a scientific certainty and a total remaking of the world’s energy infrastructure – immediately – but not change our own consumptive habits? (Not to discount that all this needs to happen). The miles-long march was divided into segments: People most effected, Building the future, Solutions, Who’s responsible, The debate’s over, To change everything we need everyone. 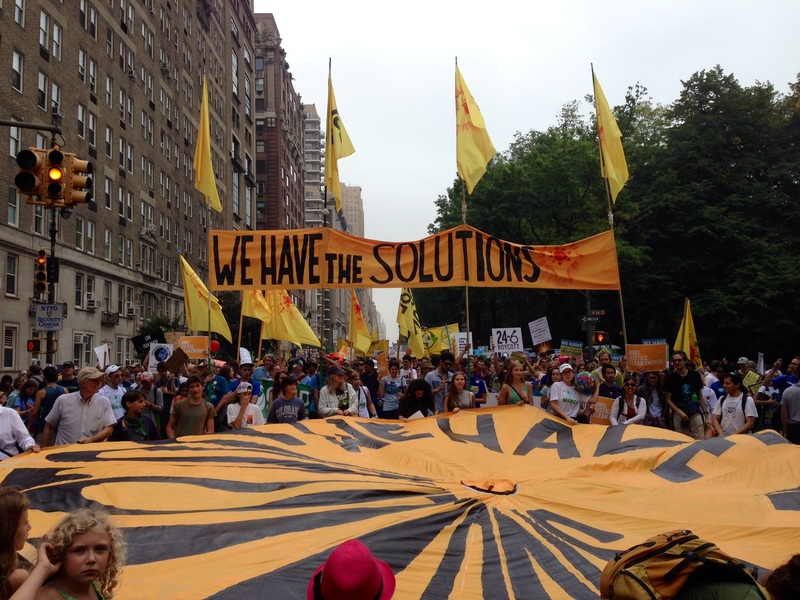 At the climate march I walked behind the large banner of “We Have The Solutions” with my 24-6 Boycott sign. Near me was the only group that suggested individuals do anything to use less energy – Vegetarians. One vocal woman handing out Go Vegan flyers, rightly, but a bit forcefully, proclaimed there is no better way for an individual to reduce atmospheric carbon than to not eat meat. (You had to love their enthusiasm). I goaded her a bit asking if it was ok to just do meatless Mondays. At first she resisted “No, no, no. You have to only eat plants!” But her friends consoled me with “That would be a good start.” and she encouraged that. That is how 24-6 works. One day a week off the grid. Something we can do immediately to change energy consumption – right now. It becomes a little through the looking glass epiphany to experience a different possibility. We can all do things – actual fun, joyful, simple, liberating things – this week – just for yourself without waiting for anyone to tell you what to do or wait for anyone else to make it happen. Heading the opposite way when everyone was heading home I saw only one — one lanky young guy holding his solitary message scrawled on a torn piece of cardboard; “Consume Less”. I think it was directed to us climate marchers. Yes we are long past small, individual actions but the banner to wrap up the march stated; “To change everything it takes everyone. My carbon footprint for walking all day in this uber-passionate, carnival of a climate protest, was pretty much zero. The enormity of the crisis is dispiriting but the possibilities seen in New York City that day were inspiring.